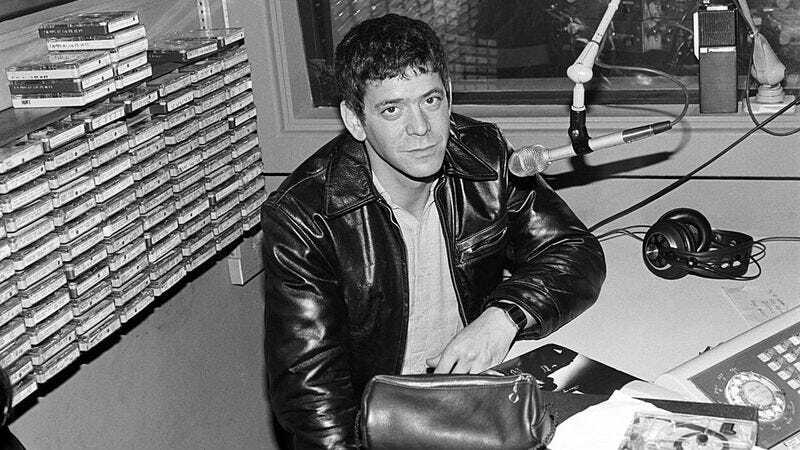 Today would have been Lou Reed’s 75th birthday, and to celebrate the milestone the New York Public Library has taken on an awesome (in more than one sense of the word) responsibility: Archiving the massive stash of personal papers, photographs, and audio and video recordings he left behind upon his death in 2013. The library announced the acquisition this morning at a press conference, adding that the archive will be available to the public at the Library for the Performing Arts at Lincoln Center as soon as it’s been cataloged and prepared. The paper portion of Reed’s archive is currently being sorted at the at the NYPL’s Library Services Center in Queens. The multimedia portion—including 600 hours of previously unheard audio, like a mystery package Reed mailed to himself in 1965 that may be the first known Velvet Underground recording—will follow. In an interview with The New Yorker, Anderson says she dreams of one day putting all these materials into a Lou Reed Listening Room at the library, complete with hi-fi equipment that can be played as loud as Reed would have wanted it. In the meantime, the library will display collection highlights for the next two weeks at the New York Public Library for the Performing Arts, which is also hosting a reading of Reed’s poetry on March 13 and a performance of Drones, which The New Yorker describes as “glorious feedback made with Reed’s amps and guitars,” on March 15. The A.V. Club’s Esther Zuckerman dropped by the library this afternoon to check out the collection; you can see some of her photographs of the exhibit below.